This recipe is from my father, Lawrence Andersen. It was another of those favorite meals when we kids were growing up. 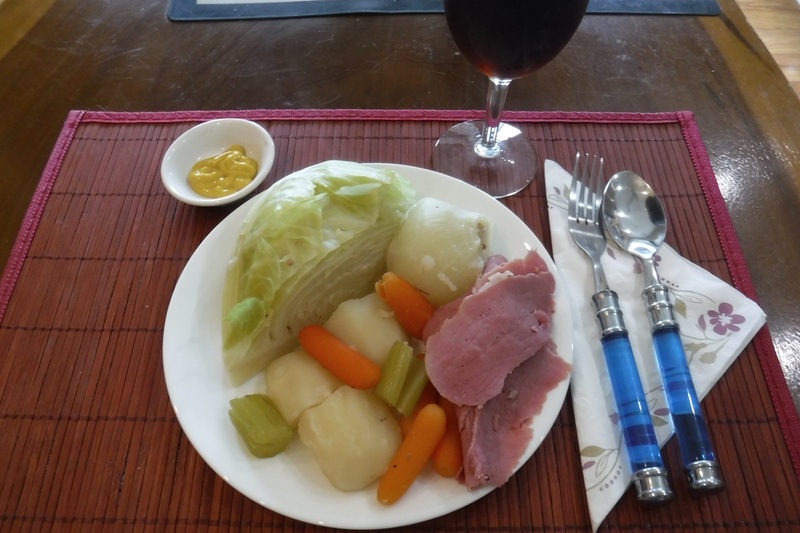 We always called it just corned beef and cabbage although it is much like a New England boiled dinner with a few extras. 4 to 5 pound corned beef brisket with seasoning packet. Place contents of seasoning packet in tea ball or cheesecloth bag. Place corned beef brisket, fat side up, in a large pot. Add flavor packet. Add enough water to float the brisket off the bottom of the pot. Heat over high heat until a boil. Reduce heat to a simmer, cover and cook until fork tender or an internal temperature of 160°, about 1 hour. While the brisket is simmering, peel the potatoes and rinse. Cut into sixths (large bite-sized pieces). Peel and rinse the carrots and cut into bite-sized pieces. Trim and de-string the celery, cut into pieces as large as the carrots. Peel and rinse the onions; leave whole. Quarter and trim the cabbages Rinse and drain well in colander. After the brisket has cooked for an hour, remove the brisket from the water and place in a plastic bag or covered container and set aside. Add the pepper, nutmeg and celery seed to the pot. Put the potatoes, carrots, onions and celery pieces in the pot. Add water to cover the vegetables by one or two inches. Bring to a boil and then reduce heat and simmer covered for fifteen minutes. Add the cabbage, layering on top of the vegetables. Continue to simmer covered for thirty minutes or until the vegetables are tender. When the vegetables and cabbage are tender, return the brisket to the pot for 15 minutes to warm. Then remove the brisket and vegetables from the water, allow to drain and then transfer to a serving platter. Allow the brisket to stand for 15 minutes before carving. My father was raised in Upper Peninsula Michigan. The family relied a lot on cold weather root vegetables. As a result, vegetables like turnips and rutabagas often found their way into our stews and soups dishes. I never cared much for those particular vegetables so I have omitted here but you may want to include them sometime. As nice as a sit down dinner is, sometimes a nice corned beef sandwich is even better. 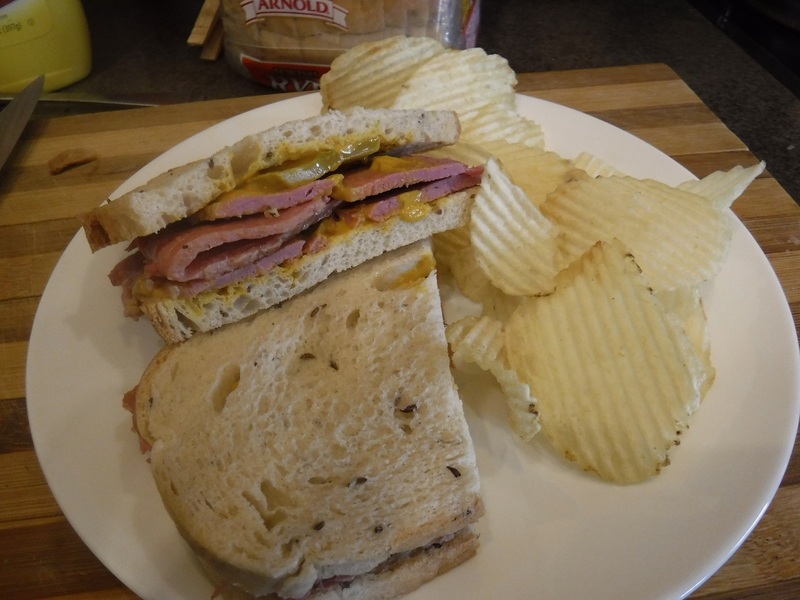 Thin sliced corrned beef, milk and honey rye bread, mustard and a dill pickle make for a great sandwich.